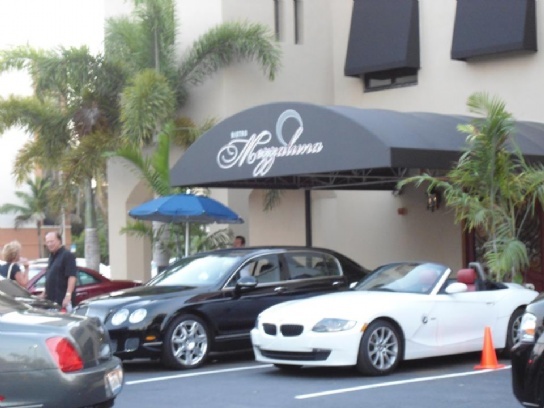 One of My Favorite Restaurants in Fort Lauderdale, Bistro Mezzaluna! Of all the world class dining options in Fort Lauderdale, one of my absolute favorites is Bistro Mezzaluna. Located at 1821 SE 10th Avenue, just south of 17th Street Causeway, east of Federal Highway, this romantic Italian bistro eatery offers a wide variety of fresh seafood, pastas, and meats, prepared fresh daily for lunch and dinner. Headed by Executive Chef Brian Rutherford, graduate of the Culinary Institute of America, the food is known for its elegance and simplicity. Rutherford combines classic comfort foods of Italy with a twist and an emphasis on seasonal and local ingredients. His past endeavors include the critically acclaimed Pearl Restaurant and Champagne Lounge with partner Jack Penrod. They have an award winning wine list, impeccable service with live music in the lounge, and a very popular happy hour. Bistro Mezzaluna is ideal for both special occasions as well as business lunches. I have always had the most incredible meals at Bistro Mezzaluna and highly recommend it. Some of my favorite dishes at Bistro Mezzaluna include the Sesame Seared Tuna, Pinenut Crusted Sea Bass, Pan Roasted Yellow Tail Snapper, Rack of Lamb, Classic Stone Crabs in season, Caesar Salad, Fresh Sautéed Spinach with Garlic, and for desert, Vanilla Crème Brulee or the delicious Bistro Apple Pie. 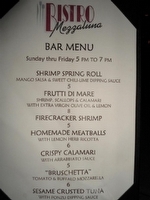 Below is the full Dinner Menu from Bistro Mezzaluna. Make sure to ask your server for the right wine pairings and the specials as they are excellent and differ daily! They await your reservation at (954) 522-9191 and their hours of operation are Monday through Thursday 11:30am-11pm, Friday, 11:30am-12am, Saturday 5:00pm-12am, and Sunday 5:00pm-11pm. Happy Hour is weekdays from 3pm-7pm and Sunday 5pm-7pm! As a seller, it may seem like once the contract is signed, you have just a few more hurdles to overcome before the closing, yet the appraisal is one that may cause complications. In today’s market, list prices of homes are on the rise and with the help of your realtor, you likely have come to a list price that is appropriate for your home. A good Realtor will make sure that this price is in sync with the appraised value so as not to disrupt a deal after the contract is signed. If an appraised price comes in at a lower value, you may find yourself with a cancelled contract. According to the National Association of Realtors, 21% of members experienced a delay in contracts and 33% experienced a cancellation of contracts. Much of this has been attributed to lenders mortgage applications being denied, and appraisals coming in below the contract price. Today, I would like to explain how appraisals affect your home sale and purchase. From the fiduciary standpoint of a lender, they will not underwrite a mortgage for more than a home is worth so they will not be left holding the note if a borrower defaults. 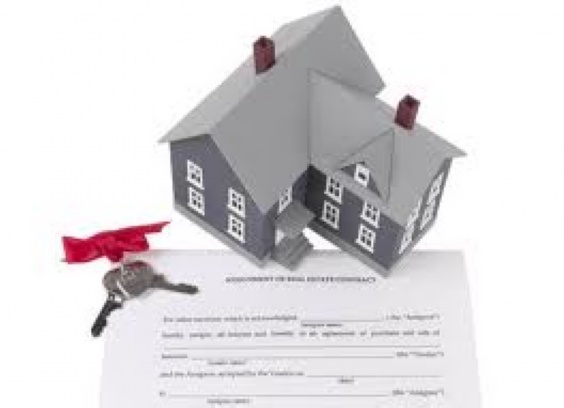 The amount of the mortgage is based on the appraised value of the property, which can vary from the purchase price. Your home is assessed yearly for tax purposes based on an average of what has sold in the area on the last day of the previous year. If you are a buyer, this information may be found in the Tax Assessor website bcpa.net or I would be happy to look this up for you. Since the tax assessor appraisal is based on an average that doesn’t account for upgrades, it is generally less than the price at which the property will sell. In order to reduce the possibility of a cancellation in your contract, it is increasingly important to choose a licensed professional with extensive knowledge of the values in your neighborhood or building, to properly evaluate comparable closed sales and current market conditions to arrive at the best price, whether selling or buying. This professional assessment can reduce the likelihood of your sales contract being cancelled due to a low appraisal, or a seller refusing to negotiate because of an unrealistic low ball offer. I am happy to assist you in this process, since I have orchestrated sales in Broward County for many years and am current in the transaction trends and appraisal prices that are coming in for waterfront condominiums and homes. If you are looking to sell or looking to buy, please contact me for assistance.